Do you want to strengthen the bond with your dog? Then World of Dog Training is the perfect place to train your dog to obey your commands. 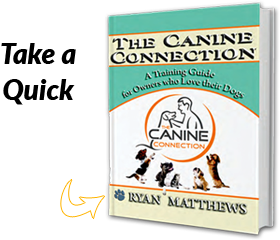 This dog training education company is established by Ryan Matthews who has over 15 years of experience as a professional dog trainer, in Southern California (Orange County and Los Angeles.) He has extensive experience in working with dogs and their owners. Our DIY dog training tips will help you to overcome the challenges that you are facing with your dog and also helps to communicate effectively with the dog. We are one of the leading dog supplies offering a wide collection of dog accessories to support dog independence. No matter what your dog breed is, Ryan Matthews the dog trainer is ready to offer all aspects of dog training eCourses and DIY dog training, which are suitable to meet you and your dog's needs in Orange County and Los Angeles. As a dog trainer in Los Angeles, he suggests the best training techniques to enhance confidence and enthusiasm in your dog's training. We offer proven (over 3,000 dogs trained) dog and puppy training techniques, that are the best fit for you and your dog. We enhance the good times and concerning moments between the dog and the owner with our DIY dog training tips and dog training eCourses. They evolve the training with basic obedience and you will learn to not just be a dog owner but a dog handler, which means you will be able to identify how your dog thinks and what they want. The end result is a stronger bond with your dog. Schedule your dog training program today and make your good dog a great dog. Our DIY dog training helps dog owners to resolve their dog's behavior and obedience problems by themselves, is convenient, cost effective and offers quick results. For any other related dog assistance or queries, make a call to 844.448.DOGS (3647).